SunContract's business model joins together the best features of blockchain technology and renewable energy to create entirely new services that will revolutionize the existing market. A decentralized energy market on the blockchain is just the first step of transforming energy distribution grid services in the future and will be followed by grid-flow optimization services, demand response services etc. The SunContract is a platform that directly connects energy producers and consumers into an energy pool based on smart contracts. The blockchain takes over the role of the middle man as a trusted technology infrastructure. 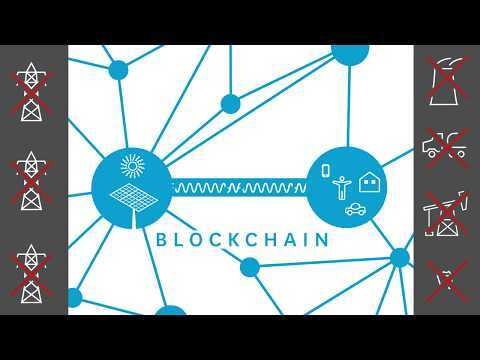 Blockchain technologies could be implemented into existing energy distribution systems without previously changing the general energy regulation framework. We are already developing a pilot project for use on a national level. Currently, we are developing an API for collecting electrical meter data from energy producers, consumers and prosumers in order for it to be written into the blockchain. The pilot project will be completed in a few months. The SunContract's vision is to support the global self-sufficient energy community based on renewable energy by digitalization of electricity. With SNC tokens, one can buy electricity through the SunContract Energy Pool. At the token sale, we will issue SNC Ethereum based (ERC20) tokens. By specifying the amount of supply, we create a closed ecosystem with a finite number of tokens. A growing number of customers will increase the number of transactions, thus increasing the demand for SNC tokens. We expect a positive correlation between the SNC market value and the size of the SunContract network implying the economic laws of supply and demand. The energy sector is a multi-trillion $ market. Our focus will be to constantly increase the demand for SNC tokens by increasing the trading volume inside the SunContract Energy Pool. Cutting out the retailers and diminishing the dependence on distribution service operators will contribute to the competiveness of electricity prices, which will make SunContract more attractive for customers. The volume of electricity traded in the SunContract Energy Pool will increase also by utilizing energy storage. It is an opportunity with the potential to reward all participants; the consumer is rewarded with lower costs and cleaner energy, while producers are rewarded with better compensation for the electricity they produce. This is a challenging project. Don't find a time-line that fits your roadmap and milestones. WP gives just a cursory information, no details. Lets hope, the project will keep to develop.